Six AM on concours day comes mighty early as any event participant can attest. 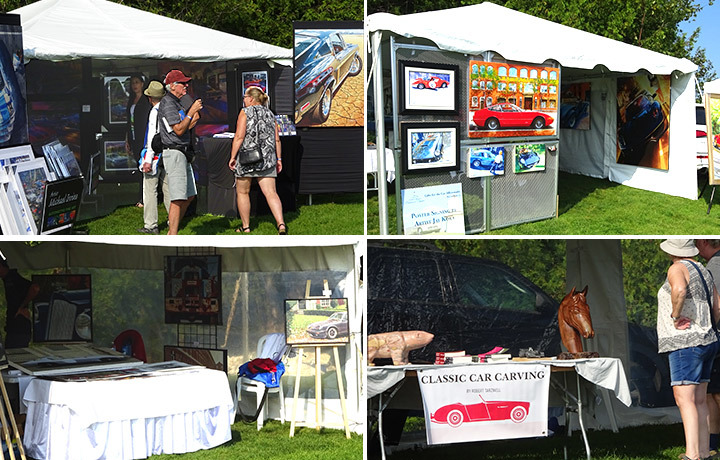 We slowly made our way in the predawn dark to the art tent located immediately next to and overlooking the concours show field. The show field is also immediately adjacent to the bay and so is very much defined by its weather. Saturday, the day before the show day Sunday was a balmy 28C or 82F with some really good humidity thrown in. Overnight it dropped to 18C (64F) so all of that humidity gathered on just about anything that stood still long enough and that included our tent ...where the humidity condensed on the inside of the roof and "rained" until the sun burned things off. 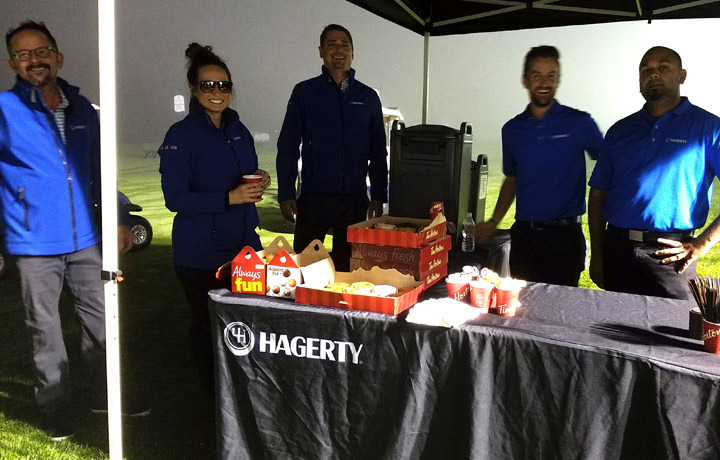 But never fear: the Hagerty group of guardian angels were on the job serving the coffee and donuts that they have become known for ...and very much appreciated... at setups on concours fields across the continent. 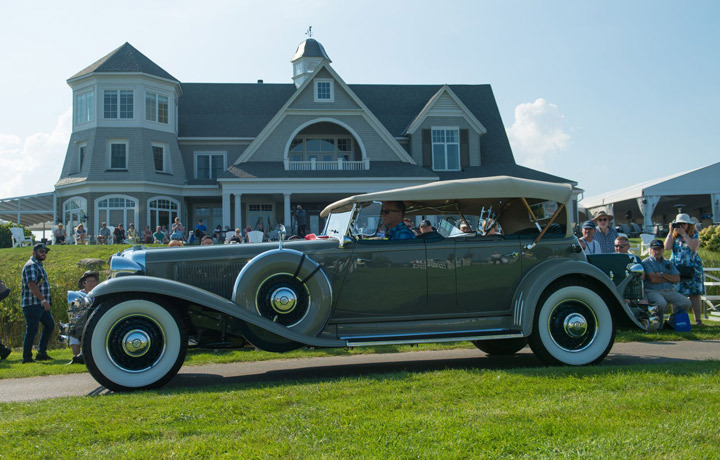 In its sixth year, the Cobble Beach Concours d'Elegance has matured into a quality example of the whole idea of the concours event. 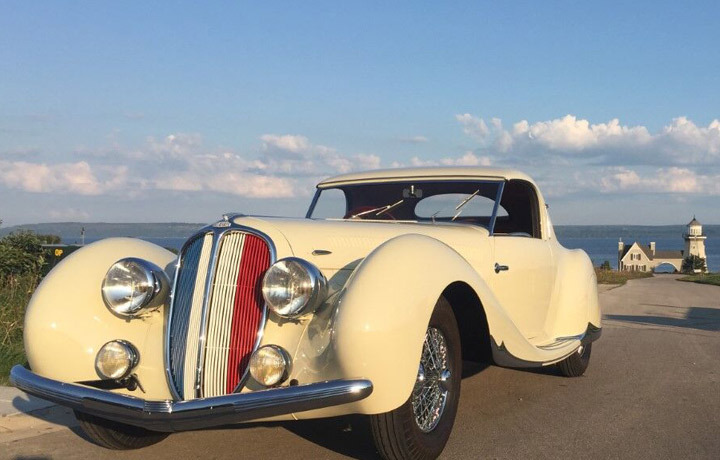 Well rounded, it presents the tours, drives, seminars, dinners and the main event show that all concours goers have come to expect over the years. Located on the western shore of Georgean Bay in southern Ontario Canada, the show field parallels the shore in its entirety presenting a beautiful panoramic view of the bay. Founder and chairman is Rob McLeese who is in no minor way assisted by his wife Rosemary and, in fact the entire family. 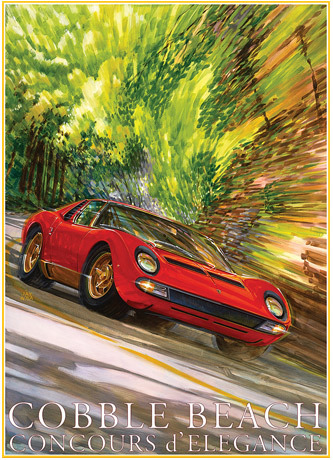 I clearly recall my first conversation with Rob in which he outlined his ideas and plans for a "world" quality concours and would I be interested in creating the poster art and helping with the art in general. I would be lying if I said I wasn't skeptical. 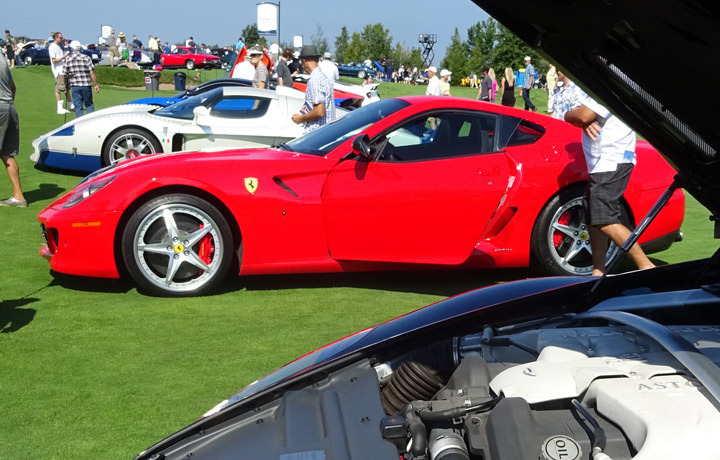 After all, concours and car events come and go with alarming frequency. But owning the property on which the event takes place and possessing the discipline to execute excellent plans has now culminated in a successful sixth year. 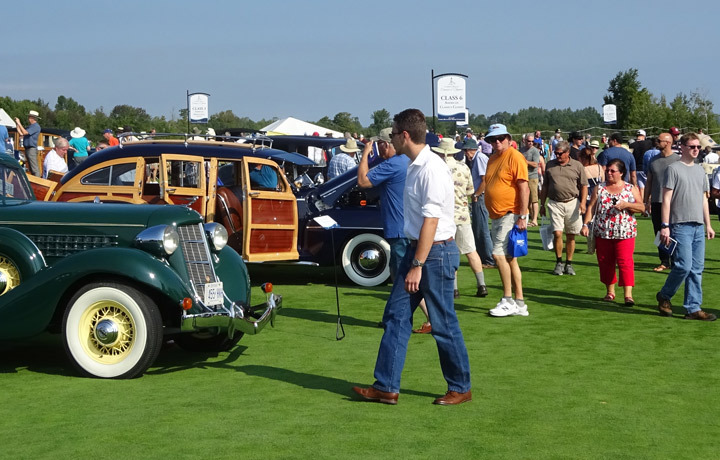 The show has managed to attract some well-known concours leaders: John Carlson is Chief Judge, Dr Paul Sable is Honorary Chief Judge and the Master of Ceremonies is the ever present and well-known voice of Ed Lucas. 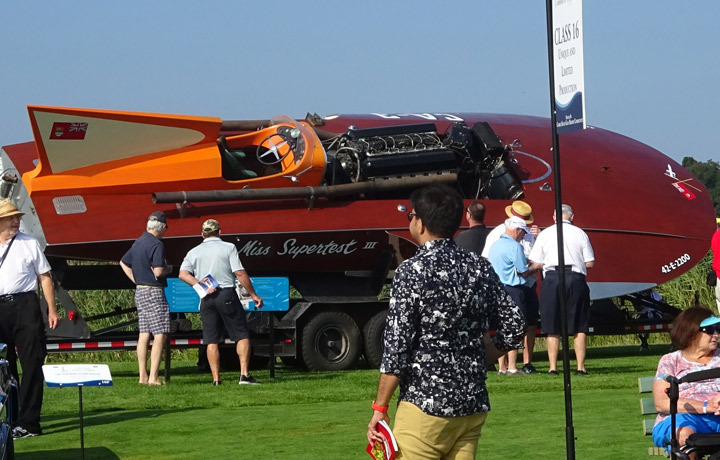 Harry Andrews, a participant at the 2018 show said that he has traveled and participated in shows all over the world and he has not seen anything better than the Cobble Beach Concours. Andrews made the journey from Maiden, North Carolina (USA) to participate in the show with his 1956 BMW Motorcycle R 26. His comment is typical of participants and attendees of the well-organized and executed event. The 2018 concours had 10,000 people attend over the weekend—2,000 on Saturday and 8,000 on show day Sunday. 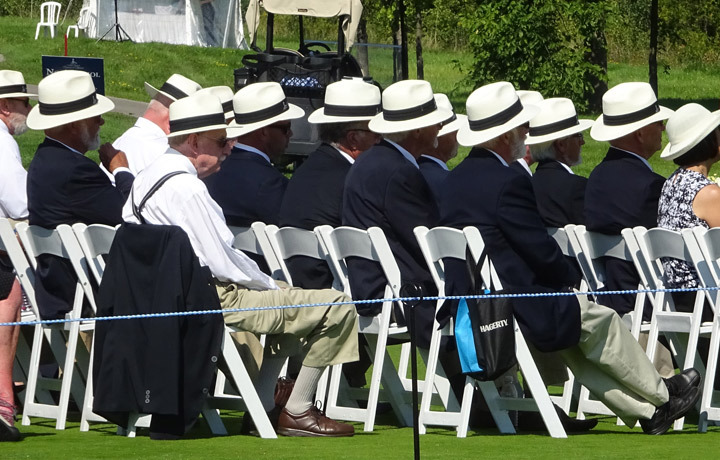 “I am very pleased with this year’s Cobble Beach Concours d’Elegance and extremely proud of our team and staff at Cobble Beach Golf Resort Community." 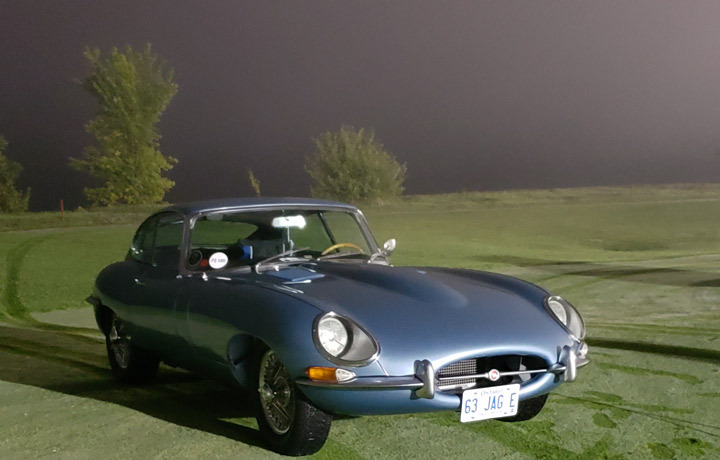 says Rob McLeese, "This has been our best Concours d’Elegance yet!". 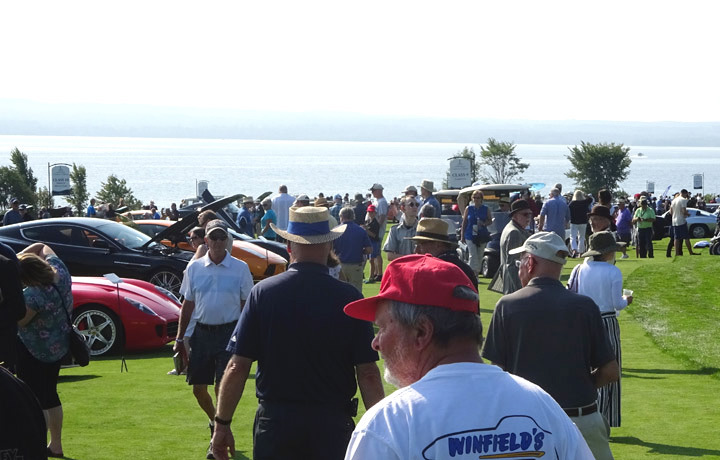 Like many concours events, the Cobble Beach Concours benefits targeted activities. Approximately $48,000 was raised for the Sunnybrook Hospital (in Toronto) which will be used to help build the new home of the Garry Hurvitz Brain Sciences Centre. This facility will be the only one in Canada where world-class researchers and clinicians will work together to revolutionize treatment of the three most common brain disorders — dementia, stroke, and mood and anxiety disorders. The raffles and other activities held on Saturday and Sunday benefited the Owen Sound Regional Hospital foundation (located near the grounds) which raised $9,970 to be used to assist in purchasing 10 new anesthesia machines to re-equip each operating room. The small art show, in nice individual tents bordering the show field, presented the work of Michael Irvine, Bob Tarzwell and Don Kilby. Gord Walker, a regular exhibitor had to drop out for medical reasons at the last minute. Well known journalist Dan Proudfoot sums it all up: "You always leave Cobble Beach relishing having seen a car you’ve always loved like Larry Tittchner’s Auburn 852 SC that took the first-place ribbon in Class 5, American Classics Open 1930’s...and telling friends about another you hadn’t known existed, this year the OSCA Model 118S Touring Coupe, first in Unique and Limited Production, entered by Peter Boyle." Special thanks to show manager Kathryn Smith and event coordinator Ashley Withall. Six years on I am proud to be involved with the event and the terrific people that run it. ...and Best of Show is Robert S. Jepson Jr's spectacular 1938 Delahaye 135MS Coupe.